FM was formed in the summer of 1984 over a few drinks in a London pub. Comprising the ex-Samson pair of bassist Merv Goldsworthy and drummer Pete Jupp, the formidable Overland brothers - vocalist/guitarist Steve and lead guitarist Chris; both formerly of Wildlife - plus the keyboard talents of Philip Manchester, better known as sci-fi nutcase Didge Digital, the band wrote six songs. In December of that same year they secured a recording contract with the CBS/Portrait label. 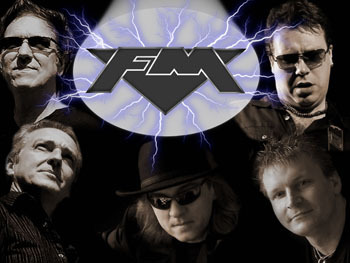 The first public appearance of FM (not to be confused with the Canadian band of the same name) was on Valentine's Day of 1985, attracting rave reviews. The d�but album, 'Indiscreet', wasn't far behind. A fully-fledged masterpiece, every single track hit the spot, and the mega-ballad 'Frozen Heart' caused lips to quiver and tear ducts to moisten whenever it was played. 'Frozen Heart' was heard in many venues during 1986 and FM hit the road in Europe supporting Tina Turner, Meat Loaf, Foreigner, Gary Moore, Status Quo and Magnum, also opening for REO Speedwagon at London's Hammersmith Odeon. At the year's end they were delighted to accept a spot with the white-hot Bon Jovi on the 'Slippery When Wet' tour. It seemed that the roadwork was paying off handsomely. The Overland brothers were flown to America to write with hitmaker Desmond Child, returning with a few great stories and the awesome hard rock anthem 'Bad Luck'. Completing the jigsaw, Queensr�che/Dokken producer Neil Kernon was engaged to oversee 1989's 'Tough It Out', a harder-edged second album that saw FM at last realising the sound they'd envisaged all along. To promote 'Tough It Out' the band set out on a gruelling 42-date UK tour that would see them returning to Hammersmith Odeon, this time as headliners. More albums followed. With 'Takin' It To The Streets' FM had moved on and their reworking of Marvin Gaye's 'I Heard It Through The Grapevine' was a hit in the making. 'Takin' It To The Streets' however, didn't prepare anyone for the following year's 'Aphrodisiac', an intoxicating and astounding collection of heart-wrenching ballads ('Closer To Heaven') and all-out rockers ('Breathe Fire', 'Blood And Gasoline'). The transition was complete though the songs still remained recognisable for their melodic vitality and Overland's cool, classy, confident vocals. 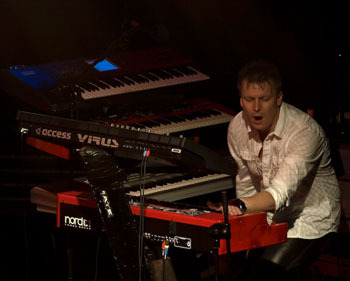 With Europe and the Far East opening up at last, a full-time keyboard appointment was made. The affable Jem Davis had played with Tobruk, Midnight Blue and - God help him! - UFO, and 1995 saw the release of what was to be their final album 'Dead Man's Shoes'. 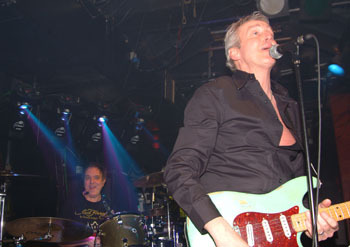 Throughout the late '90s the members of the band pursued other opportunities. Some of these projects solidified into albums - So!, Shadowman and The Ladder are all worth checking out if you happened to miss them. The individual members soon discovered however, that it was impossible to get through an interview without being quizzed about FM - the re-issuing and re-packaging of most of their albums on CD simply served to turn up the heat. And so it came to pass. 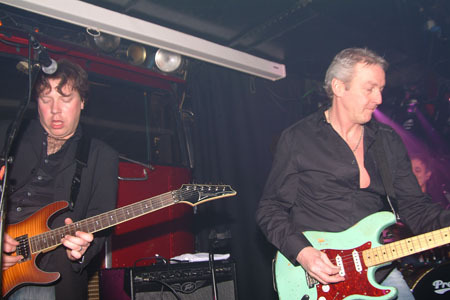 At Nottingham Rock City on 27th October 2007, after considering (and declining) multiple previous approaches from the organisers of a melodic rock festival called Firefest, the boys played together again in public for the first time in 12 years. If you were in the sold-out crowd on that fateful night, you will know what a deeply emotional experience it turned out to be. Make no mistake - the band felt it as well. It's all systems go in FM-land. New guitarist Jim Kirkpatrick made his FM d�but at a low-key gig for fans at Wigan's Winstanley College in March 2009, followed in more public fashion by a headline spot at the Firefest 6 in October, as well as playing on the 'Wildside' single and EP released in October 2009. FM's blistering new album 'Metropolis' is due for release 29th March 2010. 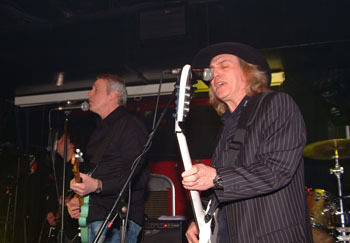 The band celebrated the album in time-honoured FM fashion - with their fans at the mother of all launch parties at the Roadhouse in Covent Garden on 7th February 2010. Right from the start of the evening - with the Meet & Greet and album playback - through to the final surprise of the night - Mick Ralphs of Bad Company taking to the stage to play 'Feel Like Making Love' with the guys - it was a fantastic night, a chance for FM to catch up with many friends old and new who travelled from all over the globe to be part of a very special evening. With Metropolis released at the end of March, and more shows promised throughout the year, 2010 is without doubt the year FM will reclaim their spot at the top of the UK's classic rock ladder.